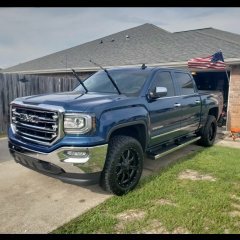 So I just got my truck GMC Sierra SLT Premium plus package with a 5.3l has been 3 months and put 8k miles on it, as you can tell I daily drive this thing. I love it, best choice i ever made after previously owning a dodge charger RT. So I've been looking up exhaust videos and I'm not sure which direction to go. If you guy have ever heard of the 2013 Yukon Denali's those stock sound deep and perfect. Thats what I'm trying to aim for, don't want any drone because its a daily truck go for a lot of long drives. What would you guys suggest? I'm leaning towards a resonator delete or just muffler delete. Decided to make a new thread about headers. 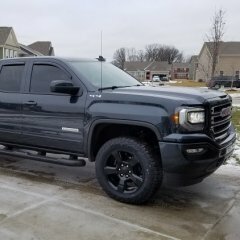 So I am looking for ways to add some umph to my truck. I have seen that long tube headers can add low end torque and HP. Anyone run with these types of headers? What kind of power gains have you seen? Hooked to stock exhaust or full custom? Alright, so I've literally spent probably 8 hours or so researching on this forum about exhaust and intake upgrades. 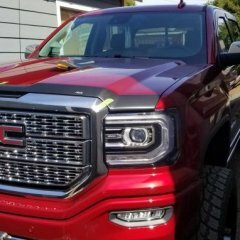 (I have a '17 Sierra 5.3) Obviously the CAI horse has been beaten to death on pretty much every forum immaginable. I'm a Mechanical Engineer by trade so data goes a long way with me. From what I've seen, on this new Ecotec engine, you don't really gain a whole lot with a CIA, many have just resorted to the Airaid MIT, but even that only see's minimal improvements and only around 5,500 rpm. So I just opted to go with the AEM dry filter for a bit more flow, and call it a day. I've even thought about doing the airbox mod, but when I got everything apart, the cross sectional area of the square hole in the airbox looks to be about the same as the cross sectional area of the intake tube diameter...So whats the point? (unless I'm missing something). So I just left it at the new AEM filter and called it a day. I have the level and 33's on this truck, so I'm not looking to drag race it. Just get it to breath as well as possible. Any input or opinions on this setup would be appreciated. Now on to the exhaust. I plan to just do a muffler swap, so I bought a new Borla Pro XS. I've seen a TON of debate on "leave the resonator, remove the resonator, leave the flapper, remove the flapper". I dont want this thing to be loud. I just want it to sound good and "natural". So as I said, I just opted to leave everything stock and replace the muffler. HOWEVER, I scooted under the truck this morning just to take a look, and now I'm completely baffled (pun intended). It looks to me like the resonator on this truck is AFTER the muffler!?!? You have the giant oil barrel shaped muffler with the flapper just in front of it, then downstream you have a (roughly) 8" diameter round barrel which I can only assume is the resonator? So my question is, is that correct, or am I missing something? ...maybe I have it backwards? Also, is leaving the flapper and resonator the correct thing to do if I just want a slight sound upgrade? Thanks guys! Im think about redoing my exhaustas fuels with glass packs and the glasspacks I bought is 3in but thinking bout getting 2.25 adapters for them then run 2.25 all the way back would that be to small? Hello all, newbie here. I just bought my first ever brand new vehicle. I always bought a year or 2 old vehicles but, with the rebates GM were handing out new was as cheap as used. Anyway I have a blue 2018 GMC Sierra 1500 SLT. I love it! Things I've done so far is...2.5" rough country leveling kit, moto metal 970 rims, nitto ridge grappler 275/60/20 tires, few other minor things. I wanted ya'lls thoughts on adding flowmaster exhaust, k&n intake, color matching front and rear bumper (I know paint wont hold well on chrome but will eventually get after market front and rear bumpers anyway) want to color match the mirror caps, door handles, front grill, and paint the chrome running boards black. I plan on removing all the badges and chrome door trim as well. Thoughts??? So I have a 04 Silverado crew cab z71 4wd. I have a 2.5 inch lift, cold air intake, and 285/70/17 mud tires. I’m looking to turn my truck into a little bit more of a power house. I plan on getting all new spark plugs (need help with which spark plugs) and a whole new exhaust from the headers back. (Also need help finding that). I’m trying to get the most performance out of these upgrades as I can as I am getting a inTune i3 8245 Platinum + Custom DiabLew Tune as soon as I decide what spark plugs, and full exhaust system I plan on getting. I want the most performance I can get out of these upgrades. 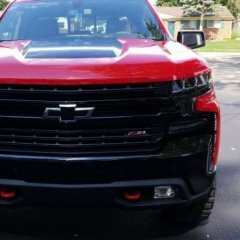 I picked up a 2018 Silverado custom with the 4.3 a few months ago, i love it so far but the only thing i dont like is that it is way to quiet compared to my old silverado. Has anyone put an exhaust on that makes a little more noise but dosen't make the v6 sound like a subaru? I want some noise out of this beast! Which Long Tube HEADERS for the 6.2 and why? Has anybody done a muffler delete then moved onto the GM Borla? 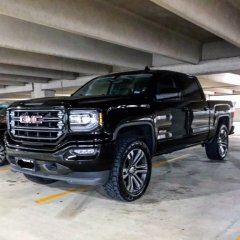 I just traded in my early 2014 5.3L Denali to a 2016 6.2L Denali. I had Borla S Type on my 2014 5.3L and loved the sound around town but couldn't stand the constant hum on the highway. I just did the muffler delete on my 2016 6.2L and like the sound and how silent it is on the highway. But I do miss the Borla sound. Is the GM Borla just as quite on the highway as a muffler delete with flapper open and resonater still in the chain? Thanks! I have a 2008 GMC Sierra with the 5.3 liter engine. I hear a rattle coming from the underneath of the truck only at 1000-1500 RPM’s. I checked for loose clips and stuff but I have found nothing. It doenst affect the way the truck runs just the sound. Also, the temperature doesn’t affect the rattle. 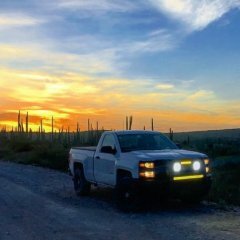 I have a 2014 Chevy Silverado Z71 with the 5.3L engine and long story short the exhaust set up i have is i cut everything after the CATs and put a single chamber Flowmaster super 10 and dumped it off right before the axle. I am trying to find a solution to the horrible drone i experience around 1700-2000 RPMs and the "helicopter" sound I experience when the engine switches into 4 cylinder mode. I still have the factory section of the exhaust i cut off which has the flapper which I am wondering if putting the flapper back in would solve the helicopter sound as well as fix the drone? I'm mediocre when it comes to knowledge when it comes to exhaust at best so i have no idea what it would take. What would it take/what is the best solution to make my exhaust remain loud when i get on it but not be annoying as heck in the cab when i am at speed and on the freeway? Thanks for your time in advance!